The McLean Museum and Art Gallery asked the Art Detectives if they knew if the girl in the portrait ‘Yasmeenah’ was in fact the same girl featured in Leighton’s ‘Kittens’, who is known to be Lena Pullen. The reason for the discussion was not to amend the painting title but purely to identify the sitter. As with all paintings, PCF hardly ever amend a painting title unless requested to do so by the artist or estate, or if a collection request an amendment. Group Leader for Portraits: British 19th C, Barbara Bryant, was the first to comment arguing that the sitter must be Lena Pullen. The only reason, Barbara noted, that there is no literature on this topic is that the painting is not very well known, and other works of Lena are in private collections. 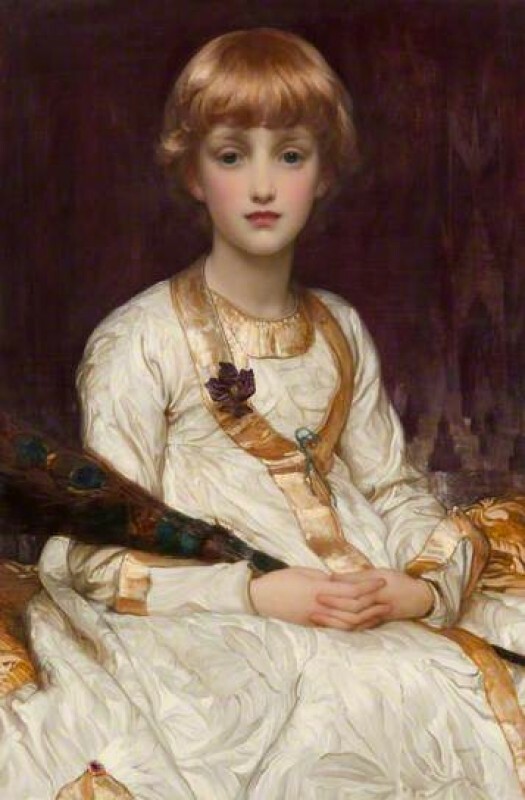 This work has not been in any recent exhibitions on Leighton’s art and was thought to be lost in 1975, thus showing how valuable the Your Paintings website is. To confirm her findings, Barbara sought confirmation from Daniel Robbins, the curator at the Leighton House Museum, who confirmed the conclusions. Can anyone confirm the sitter's identity for this Lord Leighton portrait?